Want to see all the technologies used by kissmetrics.com? Marketers fuel company growth. They create messages, campaigns, and images to demand our attention. They influence our actions and ultimately drive revenue. And it’s awesome. We provide a great place to learn new strategies and techniques, and our products solve the most important measurement and optimization problems that marketers face. We show you what’s working and what’s not working, across devices. We help make better marketers who don’t get lost in the data, but rise above it with insights for smarter business decisions and timely customer interactions. Data exhaustion has always been our conundrum to solve. 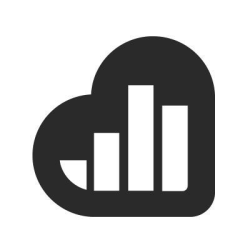 Kissmetrics was founded in 2008, because companies were using analytics solutions that were fundamentally confusing, required expensive implementation, and provided no actionable insights. The end result? Our powerful analytics and conversion optimization solutions, used by more than 800 customers today. For a quick look at additional technographic info on kissmetrics.com or any domain on the web, download our Chrome Extension. Check out our help article to see how Datanyze Insider can help you.